City alumnus Alex Farquharson is set to take over as the Director of prestigious art gallery Tate Britain. Alex graduated from City in 1993 with an MA in Art Criticism following a degree in English and Fine Art at the University of Exeter. He will leave his current role as Director of Nottingham Contemporary to take up the new position in autumn 2015. 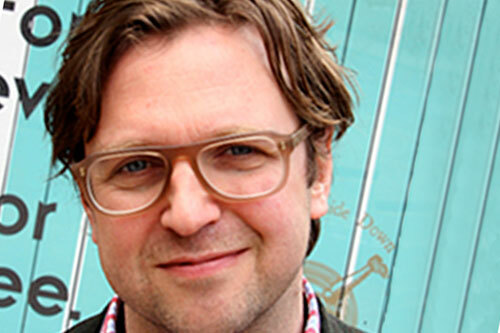 An established curator of British art, Alex launched Nottingham Contemporary in 2009 with an exhibition of works by David Hockney. In the five years since opening, the gallery that exhibits historic, modern and contemporary art, has attracted more than 1 million visitors. As a writer and critic, Alex regularly contributes to fine art publications including Frieze, Artforum and Art Monthly and he sits on the Arts Council Collection’s Acquisitions Committee. Alex says he is “delighted” to have been appointed as Director of Tate Britain. City’s Department of Culture and Creative Industries conducts research into the international creative economy, educating students in creative writing, publishing and cultural policy and management among other areas. Dr Ana Gaio, Senior Lecturer in the Department of Culture and Creative Industries at City has offered Alex her congratulations on behalf of the University. Congratulations to City alumnus Alex Farquharson who has been appointed as the new Director of Tate Britain. Tate Britain is situated on Millbank in London and is home to a large collection of historical and contemporary British art. The gallery, opened in 1897, houses the largest collection of the works of J.M.W. Turner in Britain. Other artist works displayed there include David Hockney, Peter Blake and Francis Bacon.